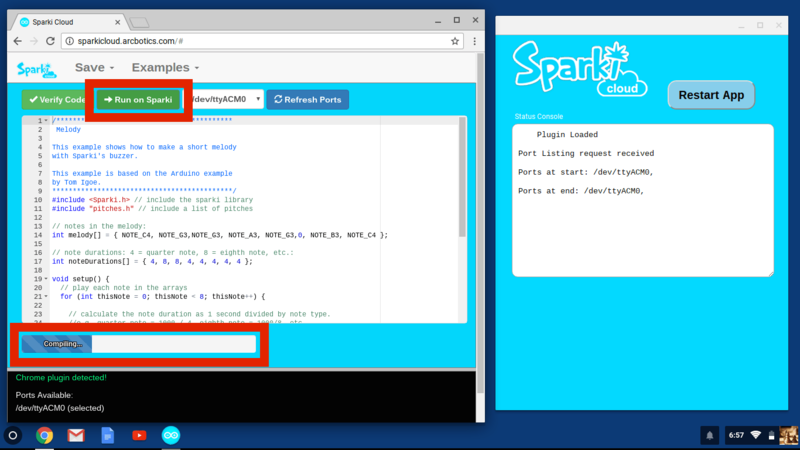 Sparki Cloud is still in Beta (in progress)! It may change quickly and without warning, and is not guaranteed to work – though we will provide regular support. 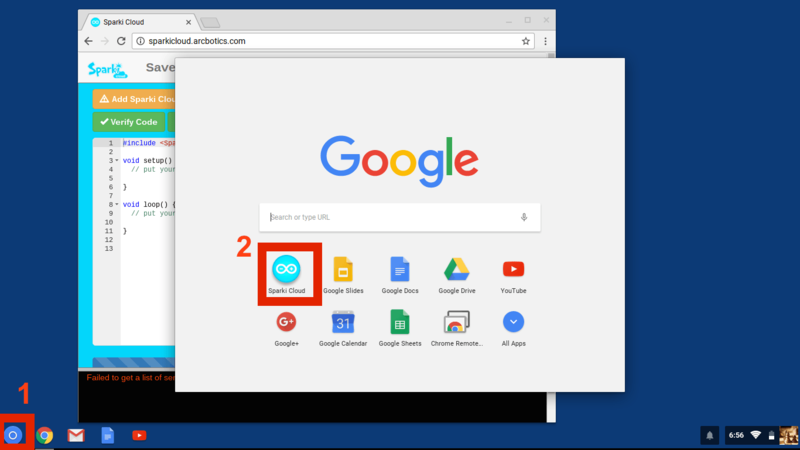 Launch the Sparki Cloud Chrome App. 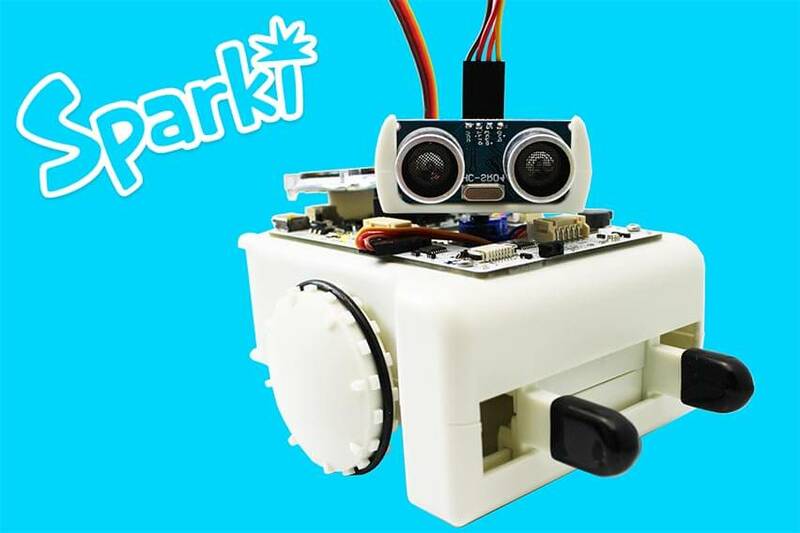 It’s needed to connect Sparki Cloud to Sparki. Select an example to upload from the drop-down menu. Here we are uploading the Melody example. With the example loaded, and the serial port selected, click “Run on Sparki”. Make sure Sparki is plugged in first! 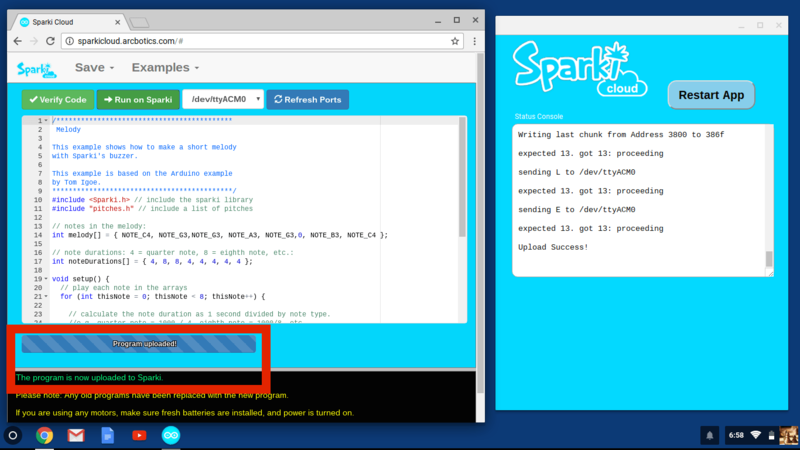 Sparki Cloud is working! 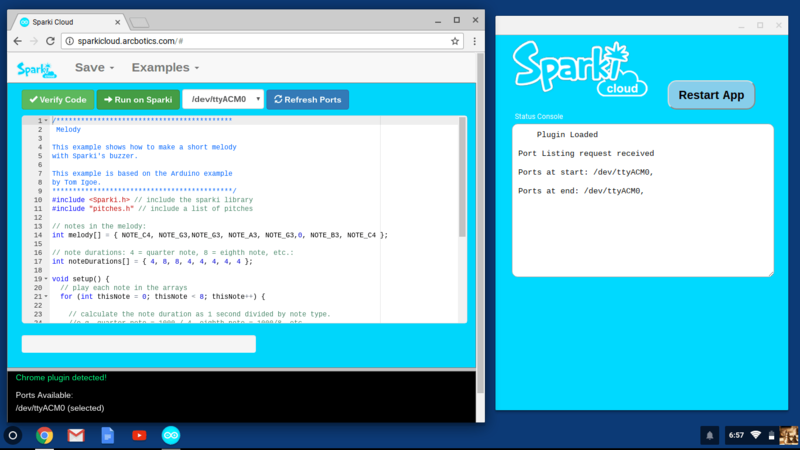 You can use Sparki Cloud as you would SparkiDuino. 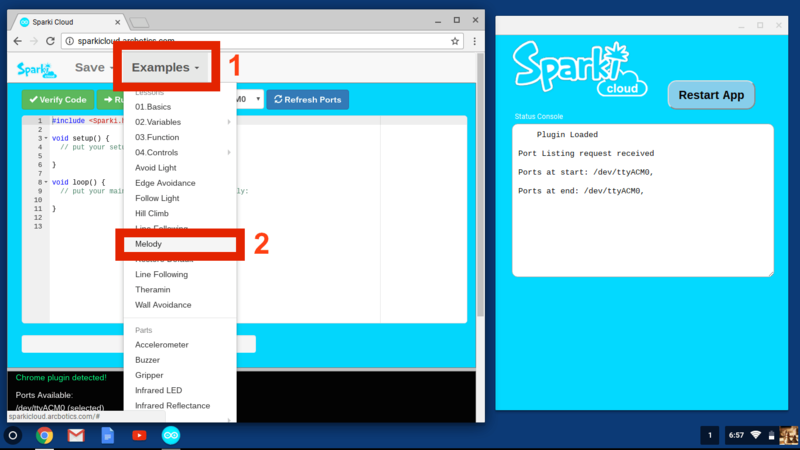 If you’re having trouble, make sure the Sparki Cloud app is running, and the ports have been refreshed. Reload the App and the Sparki Cloud page if needed. 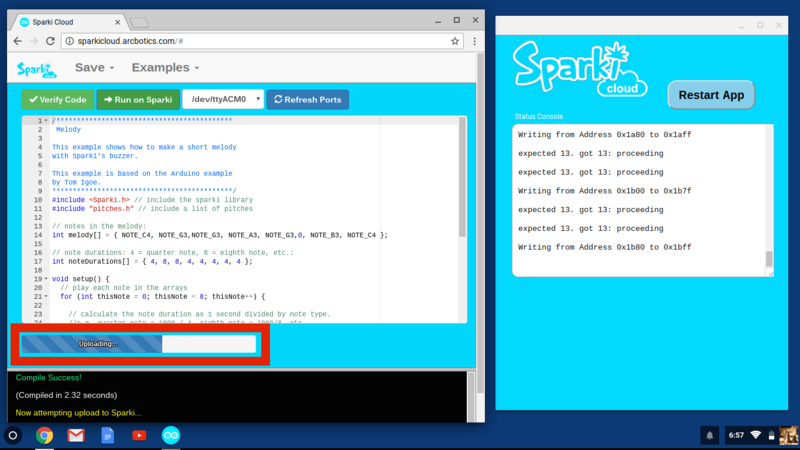 Any code and examples that work for SaprkiDuino will work in Sparki Cloud. 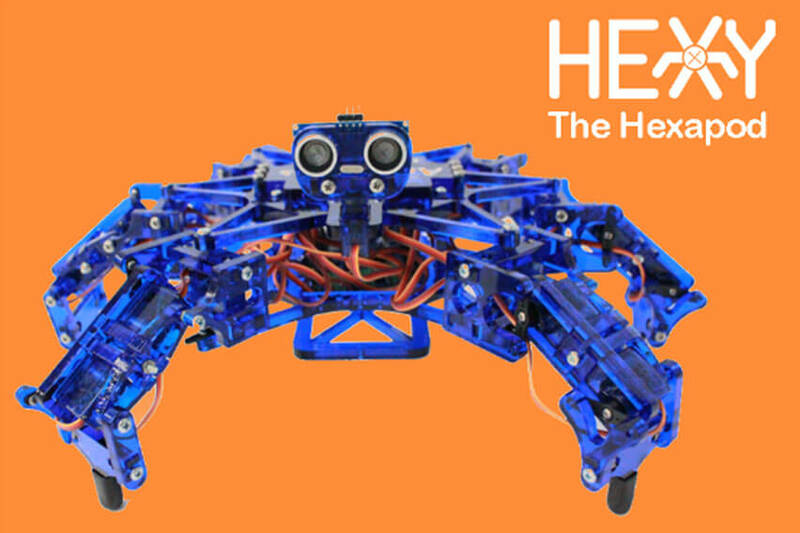 Sparki Cloud is developed by ArcBotics, so we would love to hear any feedback you might have!